What is the difference between free, and Professional versions? Professional version have unlimited download, Virtuemart Theme, Premium modules and access to Premium templates library. The free version gets limited download and no access to Premium templates library. How many customers or domains can I use my templates for? You can use the templates for unlimited number of customers and domains. Yes, we have a money back guarantee. You can request refund within 10 days of the date of purchase. No questions asked. Refund is applicable for Paypal payment only. Yes, we offer a 20% discount for active customers. After the license has expired the discount is gone. No, sharing an account is no different than distributing our materials to others. Individual accounts must be purchased by your friends. Yes. You can use a pre-existing account or create a new account. We are using PayPal as a secure and trusted means of transferring all payments to our site. Are my card details secure with PayPal? PayPal delivers one of the most secure payment platforms in the world with over a decade of experience as a leader in online payments. Your financial information is securely stored and encrypted. In addition, your transactions are monitored 24 hours a day, by a dedicated team of security specialists whose sole purpose is to identify suspicious activity and help protect you from fraudulent transactions. Of course, you can almost edit or modify any part of the template that you like. But there are some limitations to this part. You can not modify or delete our copyright code from the XML files. Can I remove copyright from the footer template? You may use Linelabox templates for commercial and personal use and you are authorized to make modification to our templates to fit your purposes or requests of your clients, but please don't remove Copyright link in footer of free templates, it helps promote Linelabox. Where are all template CSS styles saved? All CSS styles are stored in external files, not as inline elements. How do I install a Joomla! template? How do I upgrade my template to the latest version? To upgrade your Joomla! template to the latest version, you need to download the latest template ZIP file in your account page of Linelabox and simply reinstall your template. You will be notified about the updates of the Joomla! templates. Do you have Live demo available? Yes. Each one of our Joomla! templates and Extensions can be fully explored through our Template Builder. Click here to take a look. Can you install Linelabox template for me? Yes we can, however installation is very easy, just do 1 click install. We offer paid installation service that can be purchased for only €22.00. 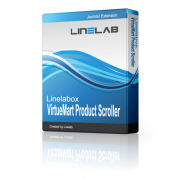 Please fill out contact form and our support will install Linelabox Joomla! Template for you within 48h. Keep in mind that our support hours are Monday to Friday: 10:00am - 6:00pm. Can I work on more templates simultaneously? All customers can work with as many Joomla! templates as they want. I have downloaded Linelabox Joomla! template I have done, can I re-sell it to my customers? The generated Joomla! template is released under GPL license (http://www.gnu.org/copyleft/gpl.html), so you can do whatever you want with it. You can modify the template, sell it or distribute it for free, as long as you keep the same license. The Template has the same license for free and customer accounts. If you couldn't find answer to your question here, feel free to contact us. We will reply asap.